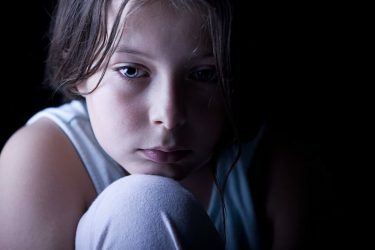 It is estimated that 513,000 women and girls as young as four are either at risk or have already undergone Female Genital Mutilation (FGM) in the United States. According to The Ayaan Hirsi Ali (AHA) Foundation, many nations and sects of certain religions use this practice as a way to control female sexuality. The AHA Foundation estimates that 98,000 of these women and girls are more at risk of FGM simply because they live in one of the 22 states that do not have specific state laws in place to prohibit the practice. A bill filed in the North Carolina General Assembly may soon lower that number to 21. SB 9 – Female Genital Mutilation/Clarify Prohibition quickly passed through two committees in the State Senate this past week. The bill received no opposition in either committee, and several senators on both committees voiced their support. The bill is scheduled for a vote on the Senate floor Monday. Senator Joyce Krawiec (R-Forsyth) introduced SB 9 on January 31, on the second official day of the 2019-2020 Legislative Session. The bill criminalizes FGM on women under the age of eighteen, and there is no exception for customs or rituals, regardless of the consent of the person or her parents. The only exceptions are if “the operation is necessary for the health of the person,” and if “the operation is performed on a person in labor who has just given birth and is performed for medical purposes.” In both of these cases, a state licensed medical practitioner must perform the operation. As Senator Krawiec said in committee, the bill has been introduced in light of a ruling that came out of Michigan last year. In November 2018, a U.S. District Court judge ruled in a Michigan FGM case that the 1996 federal law prohibiting and criminalizing FGM on young women and girls, was unconstitutional. This judge argued that Congress had overstepped its bounds by banning the procedure, and that it was up to each individual state to pass its own laws criminalizing the procedure. In response to this, Michigan passed a law officially banning FGM, and now 28 states have passed anti-FGM legislation. North Carolina is seeking to be the 29th. While Senator Krawiec stated that there is no readily available information regarding how prevalent the practice is in North Carolina, her bill would act as a protective measure. This would prevent those seeking to practice FGM from seeing our state as a place where laws against such acts are lax and can thereby be exploited. It also would protect the young women and girls on whom this procedure would be performed.